Air vent design, breathable. 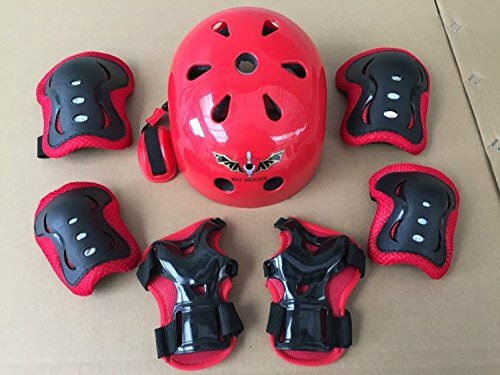 Protective gears size can be tone, you can prevent the bumps scratches, prevent joint injuries due. Exquisite patterns and meticulous care for your kid. Protective gears with elastic band velcro can adjust size. Shock absorption cushioning lining, reducing vibration fully secure the child of the head, compression and strong. Suitable for skateboard, biking, minibike riding, and other extreme sports.